My dad was in World War II, on a destroyer. He was a quietly powerful influential person. He taught me that your actions speak louder than your words. But when he spoke, people listened. He was very quiet but he always knew what was going on. If you asked him for advice he would give it to you but he would never give it if you didn’t ask. He built a house in Milwaukee when I was five… he used to raise beagles (had a national field champion). We had a pen with 5-6 and every Saturday morning in the winter he and I (and my brothers later) would let the dogs out and go rabbit hunting. We would bring rabbit home and skin them and clean them and my mother would make rabbit. 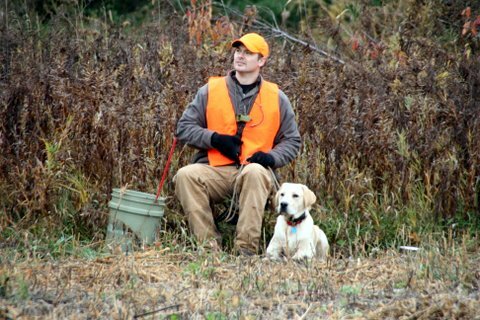 As we grew up, there was a formal hunting lesson…. The first year you wouldn’t carry a gun, the second you could carry a gun but you had to be with dad, third year you could be at eyes distance, and the fourth year you could hunt by yourself. He wanted to make sure you could understand the intricacies and dangers of hunting. He had a tremendous respect for Mother Nature. In 1976 he bought a small cabin and 40 acres in Niagara, Wisconsin. He expanded that land and now that cabin is still there on 240 acres. There’s a great story that goes with that. When he bought it there was a one room cabin. We would all hunt out of it. It was like watching a ballet… if one guy moved everyone had to move. The cabin was the size of my living room in my house. Well for years and years and years he talked about wanting to build a cabin. SO we talked and talked and I got married and was raising a family and my brothers were raising families… there was never the time and or the money. In December of 1996 I got a phone call at 4 AM that my father had had a massive stroke. Everyone rushed to the hospital and while we were sitting in the waiting room and he was being taken care of, my brothers and sisters and I all looked at each other and said if dad comes out of this we’re going to build the cabin that he wanted. The following November we had built a 2200 square foot cabin with indoor plumbing, cedar siding, and everything he could have possibly wanted in a cabin. Because of his stroke he wasn’t as mobile as he used to be. 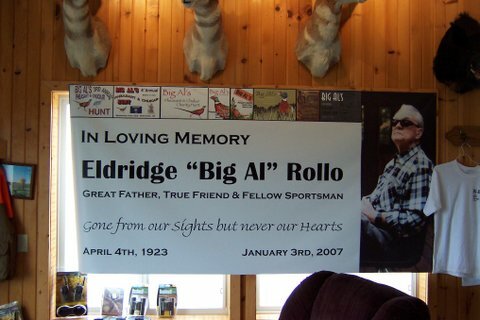 That November he shot the very first deer that year from the porch of that cabin. He shot an 8 point buck and it made for a very joyous celebration. He was real solid, down to earth and hardworking. Everything you could ever want in a dad. He was supportive but wanted you to learn independence. He was a real role model. Everybody that knew him respected him. 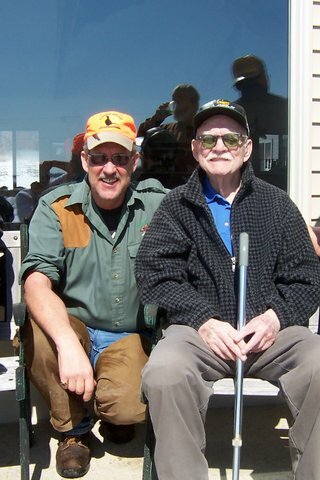 Hunting and fishing were a part of his life, my life and our life together. He taught me everything I know about the outdoors. When we go to deer camp, it’s not so much about the hunting but more about the camaraderie. We will go to deer camp this year and tell the same stories we have told every year. I haven’t missed a deer season since 1968. The people who attend your hunt, who are they? It started out with four friends and four brothers. Now, it’s my brothers, my nephews, and my son in laws and then many of their friends that have heard about the hunt and want to be a part of it and a number of my close friends, of course. Guys that I’ve hunted with for years and years. 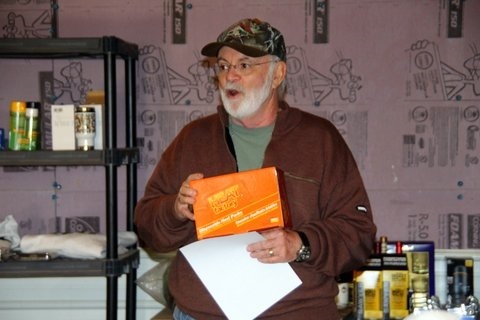 Danny Treutelaar, who is one of my dearest friends… we’ve hunted together since 1971. That’s how it’s grown from 8 to 58.We’ll see where it goes from here, but we’re literally maxed out this year. The one thing I will tell you is that this is the greatest most generous group of sportsmen and women I have ever had the pleasure of knowing. Tell me more about the charities involved. I know that’s a very important factor of this hunt. I just got off the phone with one of my investment guys and I told him I was getting ready for the hunt… I told him, to me… and I know this sounds very self-serving but I have been so blessed. I have four wonderful brothers a wonderful sister and a gorgeous wife of 38 years. My kids are incredibly successful and I have seven amazing grand-children. I have a beautiful home and a comfortable life. It’s payback time…. How do you say thank you…. What did I do to deserve that? But whatever it is, I’m grateful for it. But I feel this overwhelming urgency to pay it forward. A number of years ago Make a Wish stopped funding hunts for terminally ill kids and I didn’t think that was right so we began doing it on a limited bases. You see these little kids with these awful diseases. Last summer we sent 15 kids that were in chemo on a fishing trip on Lake Michigan. There’s no way their parents could afford a trip like that as every nickel and dime they’re making is going to their medical care. We have the opportunity to show them a different world. They fish Coho Salmon on Lake Michigan. They forget that they’re sick and they focus on hanging onto that fish and getting it into the boat. It’s a beautiful thing to see. The payback is ten thousand fold. 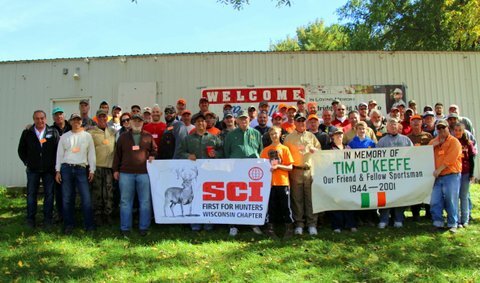 We took fifteen disabled vets on a pheasant hunt. We got ATV’s, all terrain wheelchairs. The guys came, they brought their dogs and they were able to shoot from their chairs. By the grace of god, I get to go out and hunt everyday on my feet and I never think about it. And then you see a disabled vet, and I realize if I can do something to make their life more livable, and more pleasant…. Why wouldn’t I want to do that? This entry was posted in Hunting, Programs We Support, Who We Sponsor and tagged hunt. Bookmark the permalink.